Today starts the opening of the NFL Draft. The networks will be devoting three days of coverage to the show. Round 1 will be shown from 8pm - 11:30pm tonight on ESPN. The remaining rounds will be shown Friday on ESPN2 from 7:00 - 11:30pm and Saturday on ESPN from noon - 8pm. 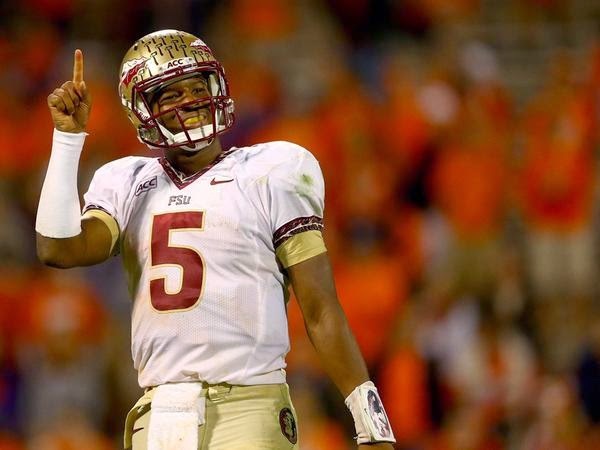 Who will be the number one draft pick...Will it be Jameis Winston or Marcus Mariota? 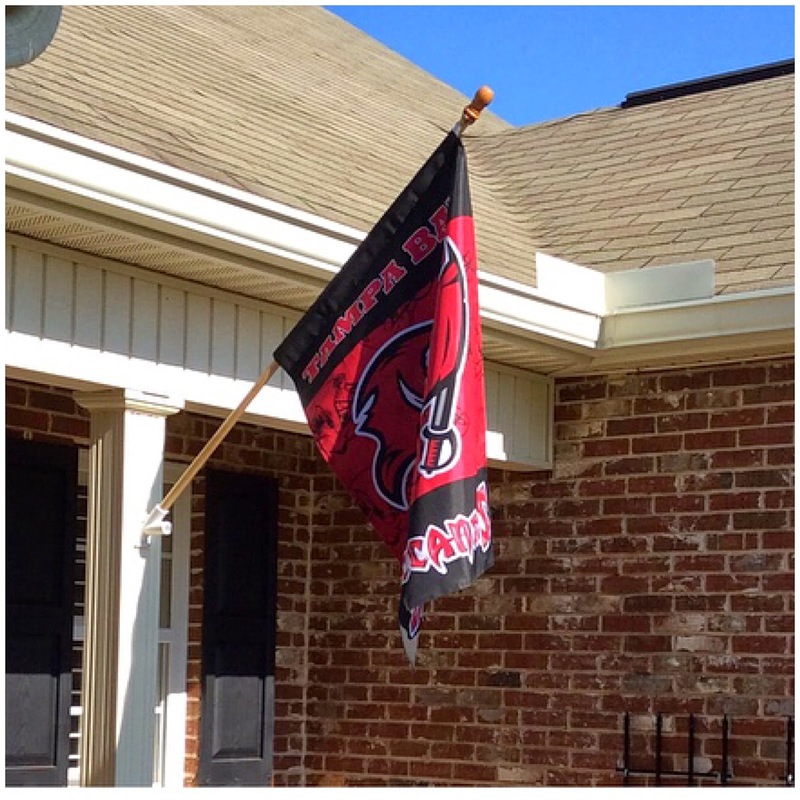 We are huge Tampa Bay Buccaneers and also Jameis Winstons fans and will be cheering for him to be the Number 1 pick. One million high school students participate in football annually. Only 1 in 17 go on to play college football. Only 1 in 50 will play ball in the NFL. The NFL teams can draft anyone they want...even those with no football experience. 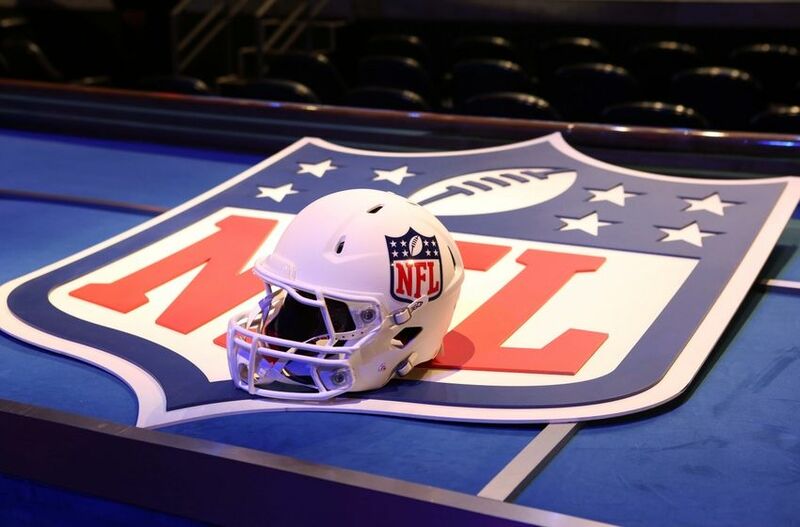 There is a rule that underclass players are prohibited from entering the draft until three college football seasons have passed since their high school graduation. Once a player declares for the draft, they cannot return to play in college. Each NFL team is given a position in the drafting order in reverse order relative to its record in the previous year. Our favorite team, The Tampa Bay Buccaneers get the first pick since they were in last place last year! The Bucs can either select a player for the number one pick (Jameis Winston, please) or trade their position to another team (Lord have mercy, NO) for other draft positions or player(s). There are seven rounds and a round is complete after each NFL team makes a choice. Will you be watching the draft and which player do you think will be the number 1 pick? 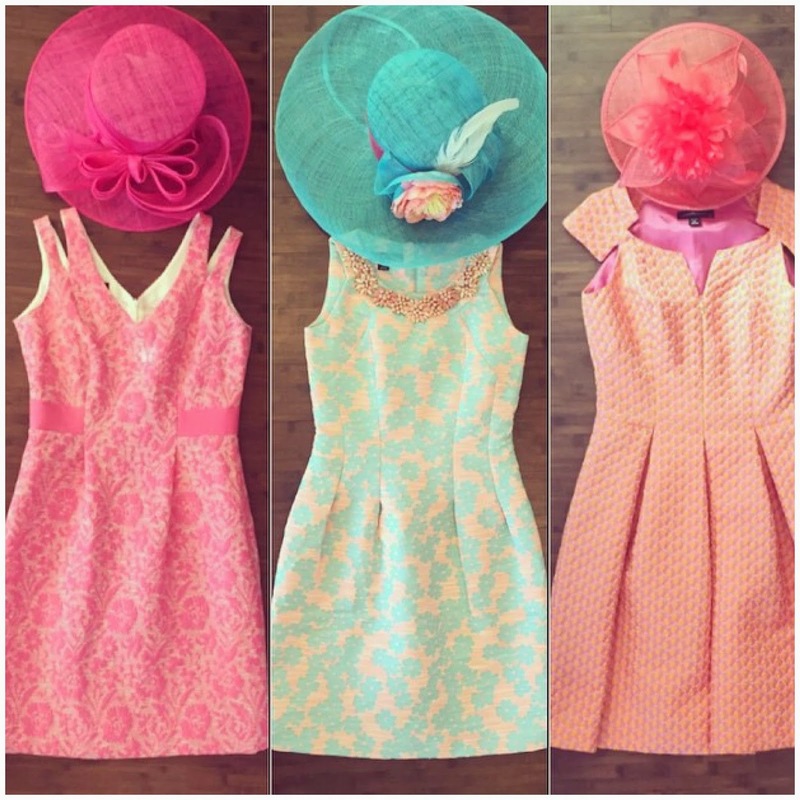 It's Derby Week and I thought I'd share some cute Derby outfits with y'all. I found these on the Instagram account of Monkee's of Louisville. 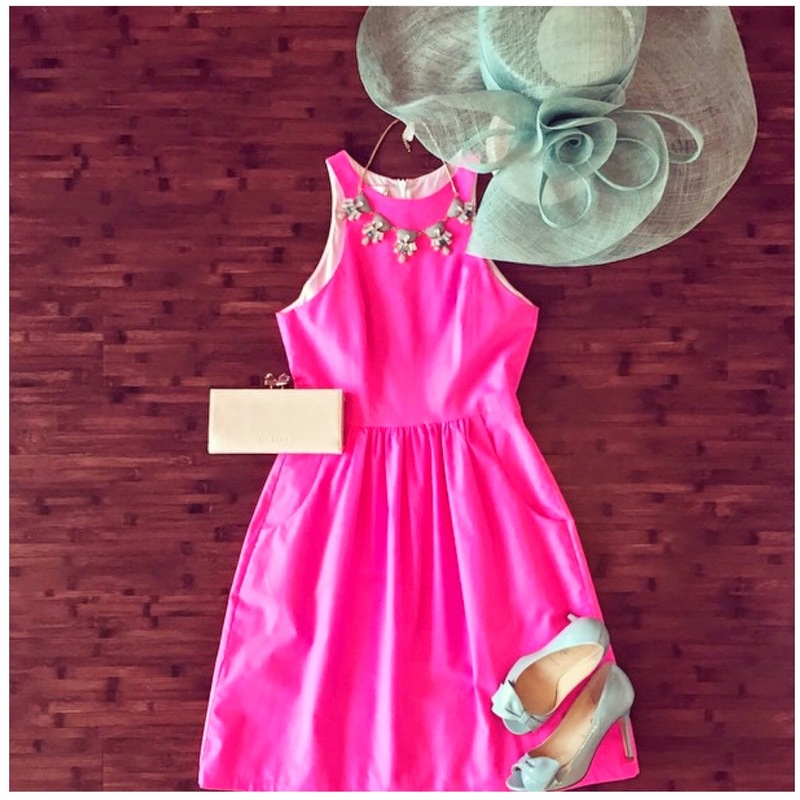 I love their Facebook and Instagram sites--they put together the cutest outfits...dress, hat, shoes, and pocketbook. These are beautiful dresses by Laura Bernal! 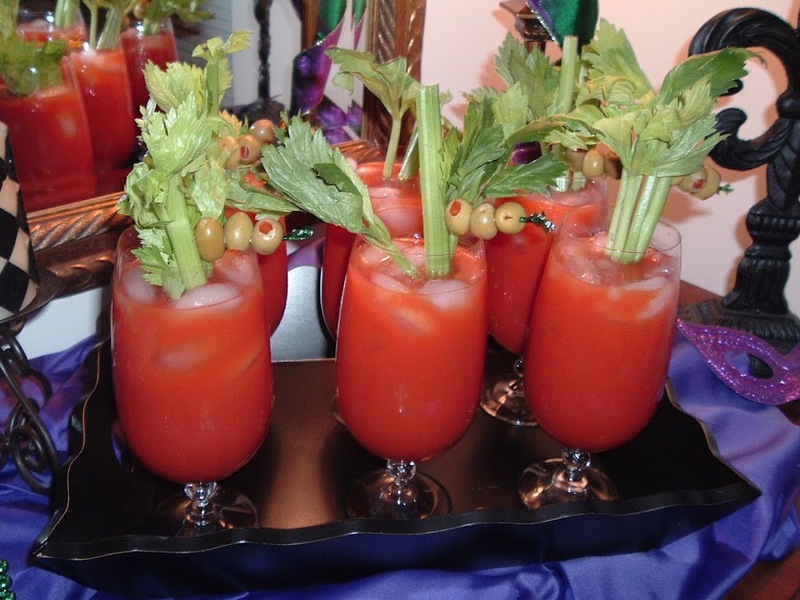 and paired with lovely Southern Belle-style hats. The bigger the hat, the better! 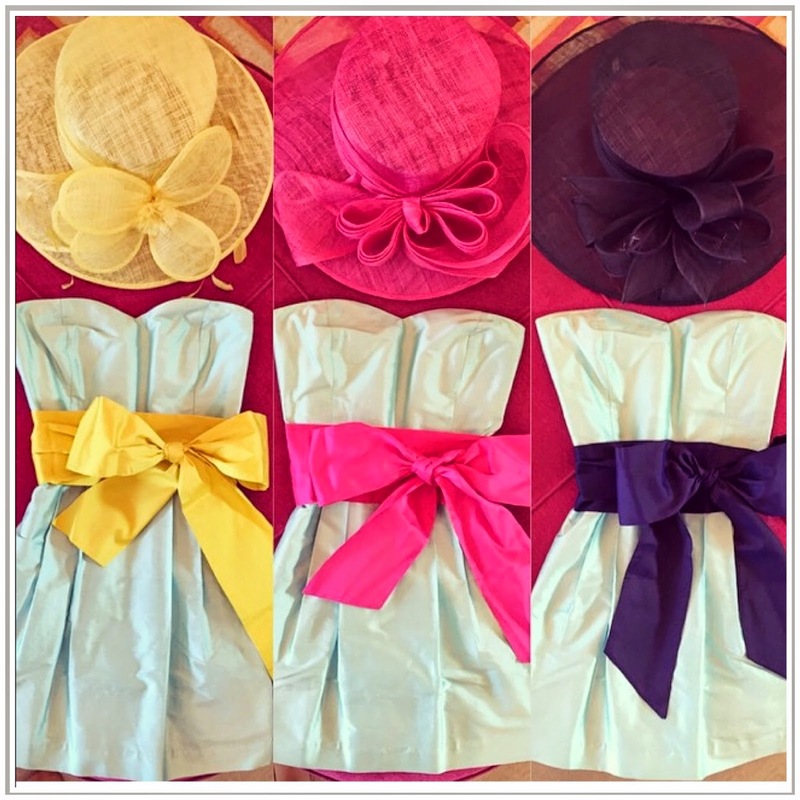 Cute dresses, big hats, and LaRoque sashes. Love the color combo of this out! 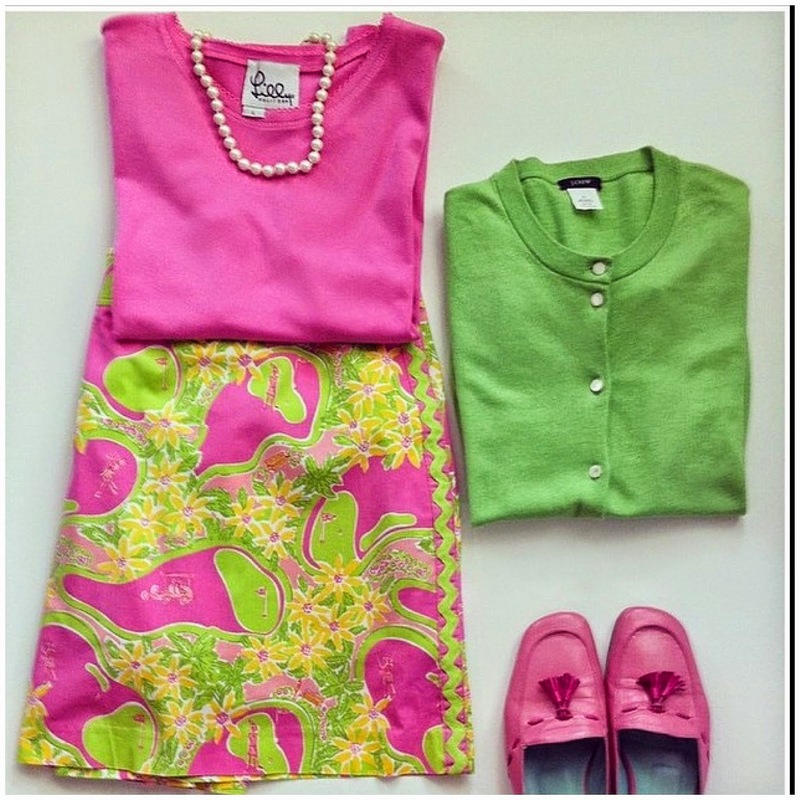 This outfit is just adorable! A precious horsebit-pattern LaRoque dress with a darling fascinator. 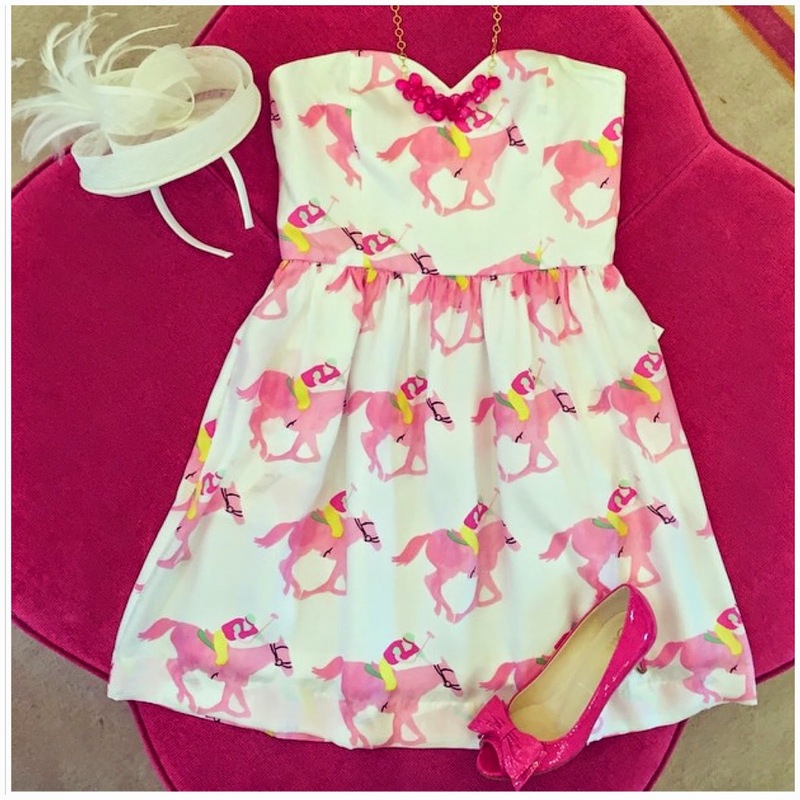 This is a limited edition Derby LaRoque dress...love the pattern and the cute fascinator! Hats and fascinators truly finish off a look and some feel that wearing a hat to the Derby will bring you good luck. There's a debate as to whether you should choose the hat first or the dress. I can't help y'all with that as I have been known to build an outfit around a belt, or a scarf, or a bracelet! Keep in the mind that your hat should frame your face, not overshadow it. Wear you hat on top of your head, not tilted back. You may tilt your hat to the right. Be sure you pull your hair off of your face...no bangs with a hat. Just in case it's a windy day, make sure your hat is secure on your head. A lady does not need to remove her hat during the National Anthem, but you should remove it after 5 p.m.
Kate Middleton definitely made the fascinator popular. Notice that she wears it to the right side of her head, toward the front, and at an angle. Keep the fascinator in proportion to your head. Whether you are actually going to the Kentucky Derby, attending a Derby party, or watching it on television with a mint julep in hand, enjoy the race y'all! I'll be wearing my Derby-theme clothes all week. 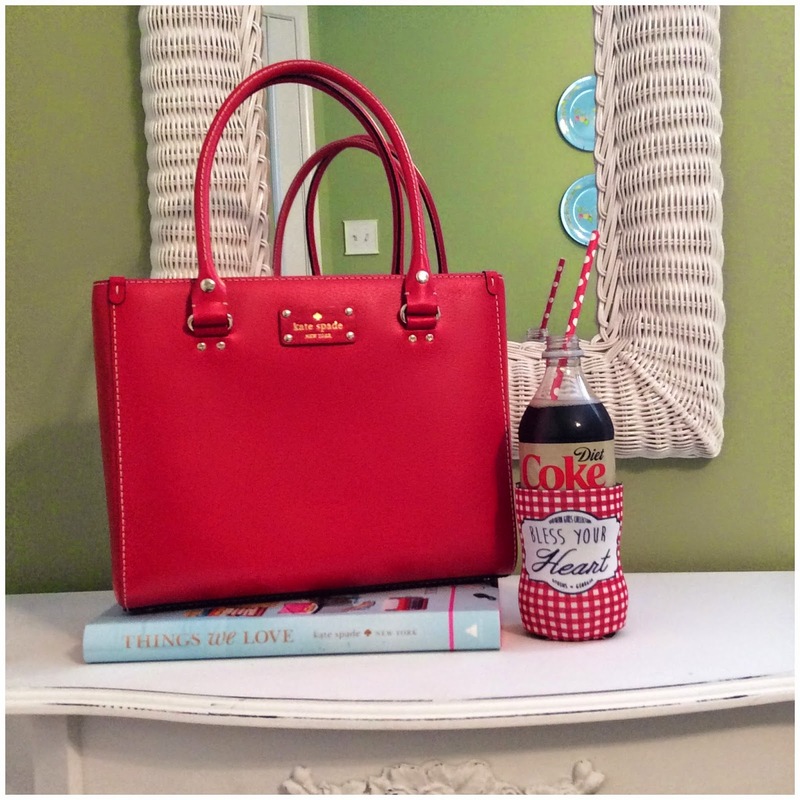 Southern girls love to sip a coca cola and bless people's hearts. Down South, you hear this phrase thrown around all the time. However, I can certainly understand why some people are confused over the meaning of this phrase. Nowadays, Southerners drop the phrase constantly...and not in a kind way--"She shouldn't be wearing that short skirt, bless her heart!" This is one I hear all the time--"He's wearing cargo shorts, bless his heart!" 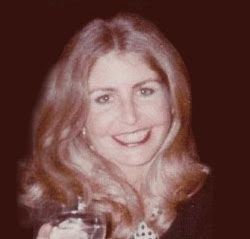 I grew up with a Mama who would always say "Bless your little heart" whenever I was ill, or "Bless Margie's heart, she just lost her husband of 60 years!" I never once heard her use the phrase as a backhanded insult or to be rude. "Bless your heart" should be used in a sincere way to express genuine love, pity, or sympathy. 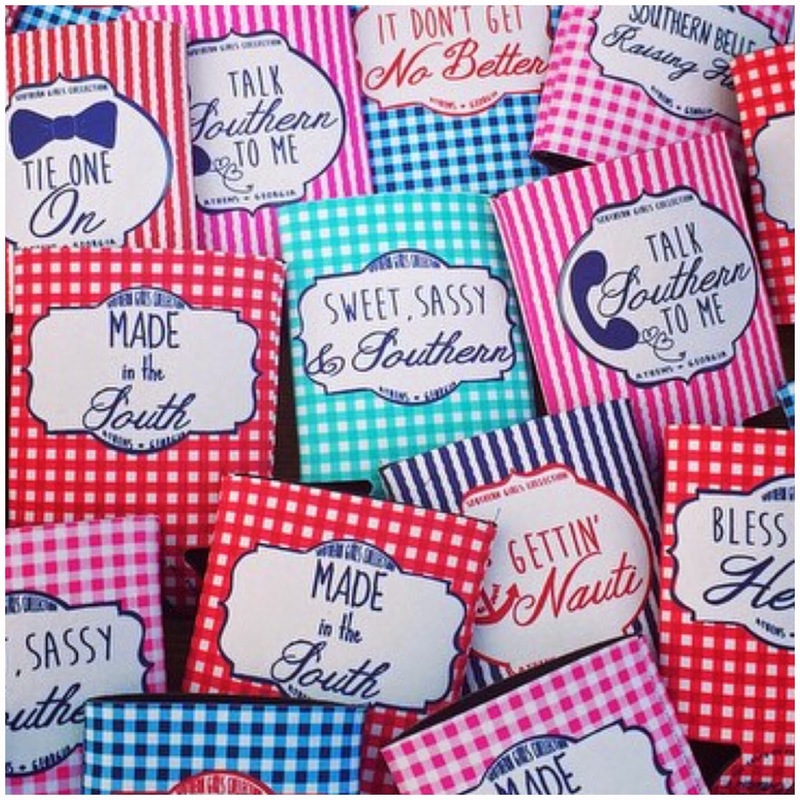 Today, I'm using my "Bless Your Heart" koozie...I love the Southern Girl Collection at the Feathered Nest Boutique. 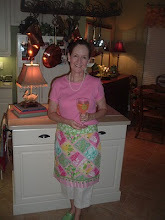 Kathryn, the owner, is a native of Peach County, Georgia and now resides in Athens, Georgia. 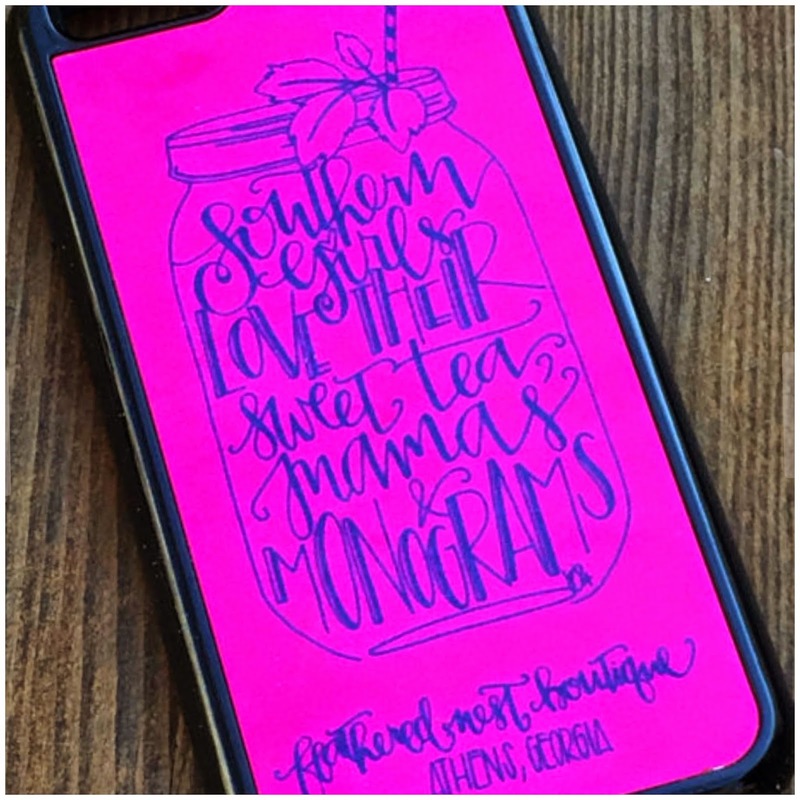 She offers lots of cute loot on her Etsy shop and the items from the Southern Girl Collection are must-haves to show your love for all things Southern! These neoprene koozies come in nine designs, fit standard-sized cans and bottles, and fold flat for easy storage. Talk Southern to me! 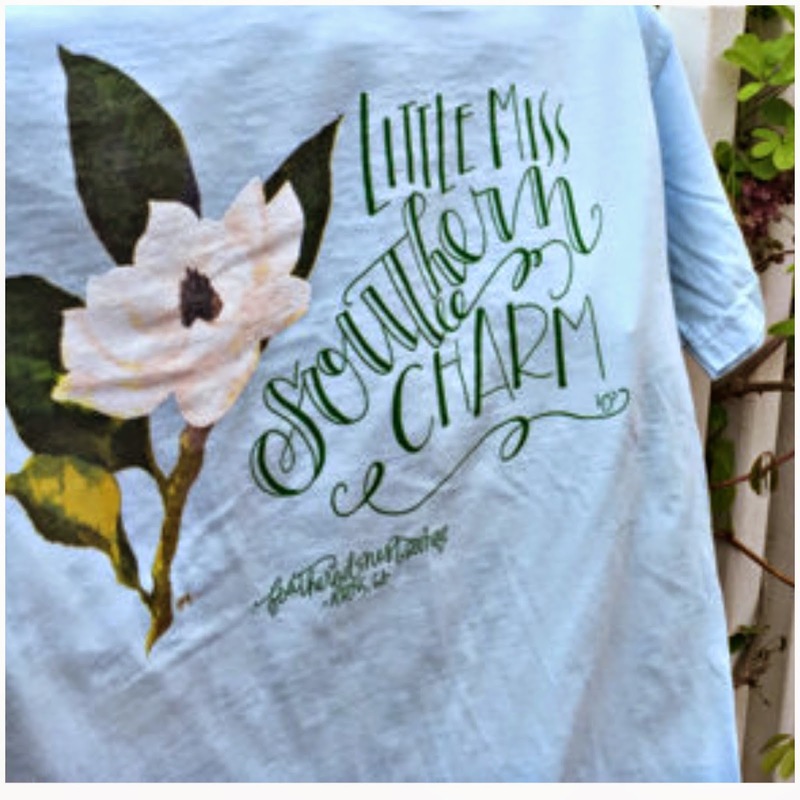 Kathryn's mother painted the design for the "Little Miss Southern Charm" tees. 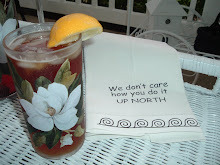 Very Southern and very cute! Now don't y'all need this iPhone case?! "Southern girls love their sweet tea, mamas, and monograms!" Yes ma'am we do love all three! 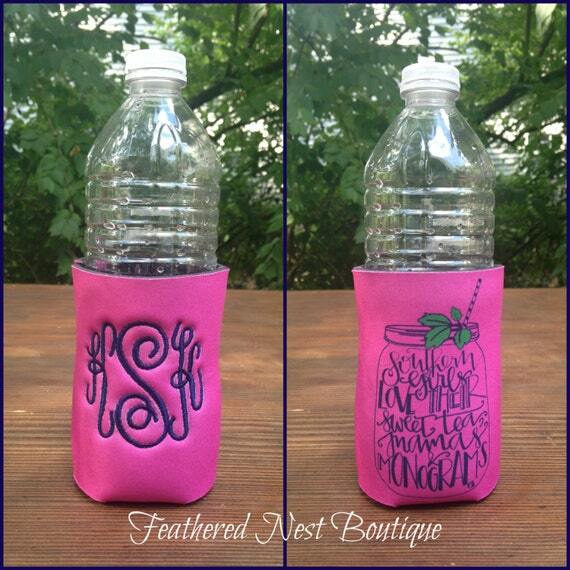 The Cute Mason Jar design also comes in a koozie...monogrammed, of course! 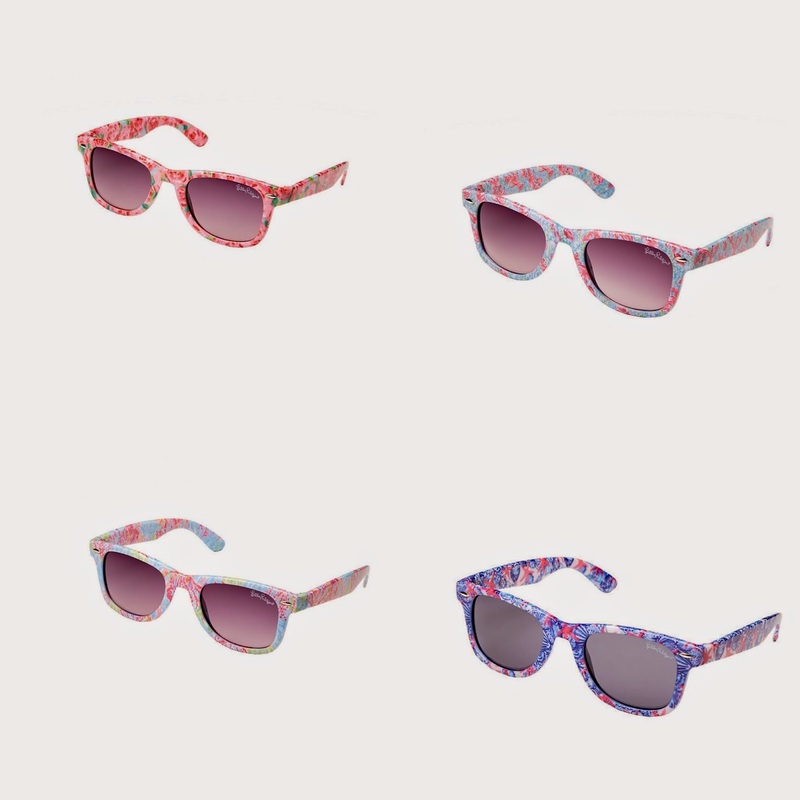 And to coordinate with the rest of the collection, you need the sunglasses straps! Y'all be kind! 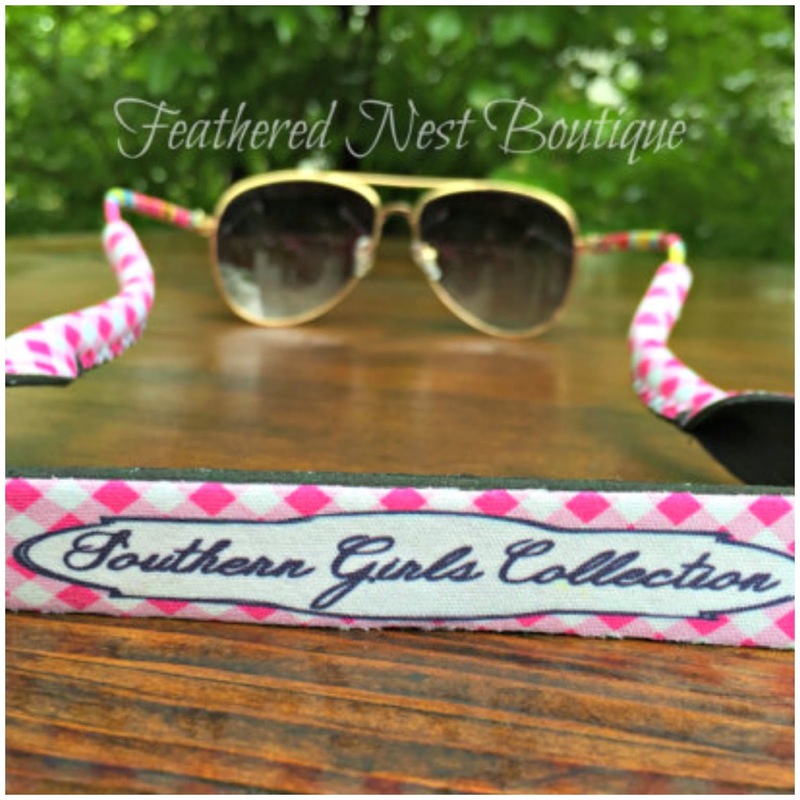 Check out the Feathered Nest Boutique on Facebook and Instagram also! The Lilly for Target sale has come and gone...many were disappointed but many were happy with the items they were able to buy. I ended up getting the Boom Boom Umbrella, Nosie Posey Hammock, Fan Dance Shift, and the Nosie Posey Button Down. I will be searching Facebook sites (my new favorite is Lilly Pulitzer for Target Fair Buy/Sell/Trade) and eBay for reasonably priced resell items. I don't mind paying a bit over retail, but some of the prices on eBay are unreal! 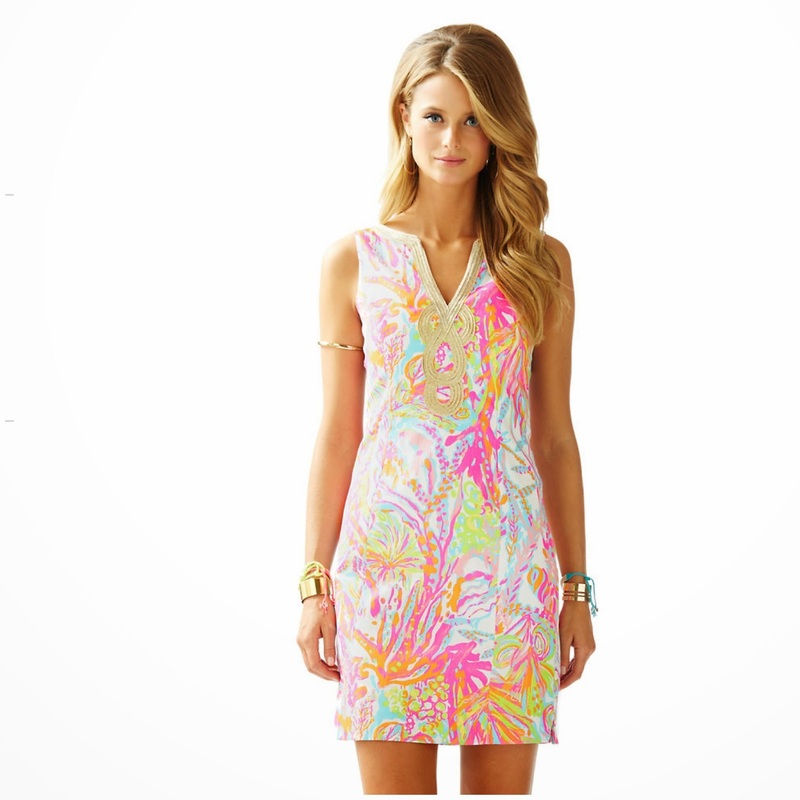 Moving on... Lilly Pulitzer Summer is here! First on my must-have list is the 'Scuba to Cuba' Janice dress. Love it. I love the 'Pop Pink Tusk In Sun' pattern! The ladies is the Delia Shift and the little girls is the Classic Shift. I think it's so much cuter in the Classic Shift, so I'm gonna have to try the Delia on before I decide if I really want this. The Elsa blouse is very cute in the 'Scuba to Cuba' pattern. 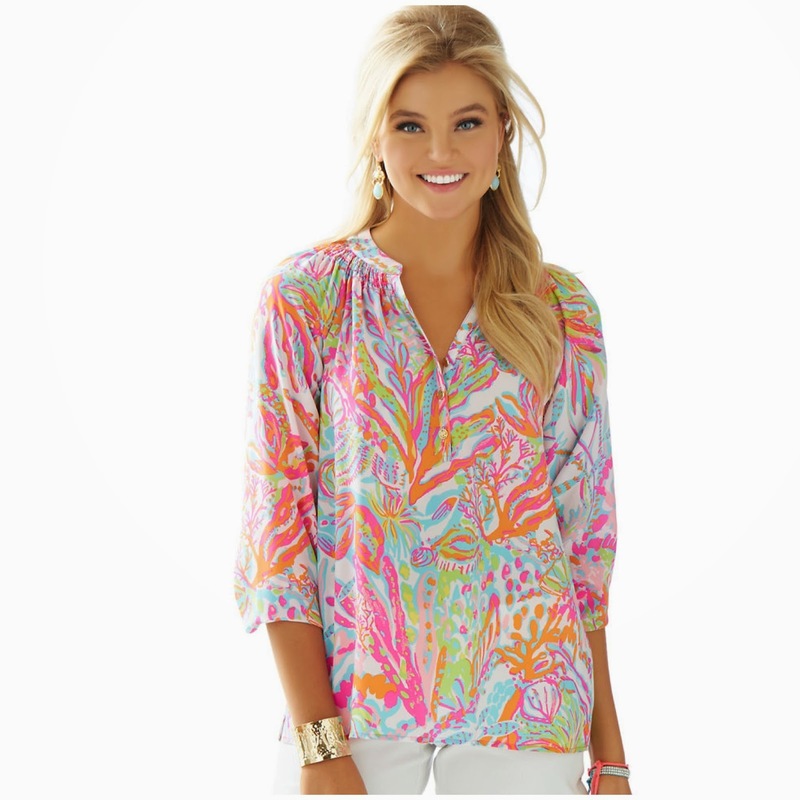 The Elsa blouse is SO comfortable and looks great on ladies of all ages...with shorts or slacks. While I love the Annabelle Shift in the 'Jumbo Sunflower Eyelet', I'll leave this dress for the young ladies. 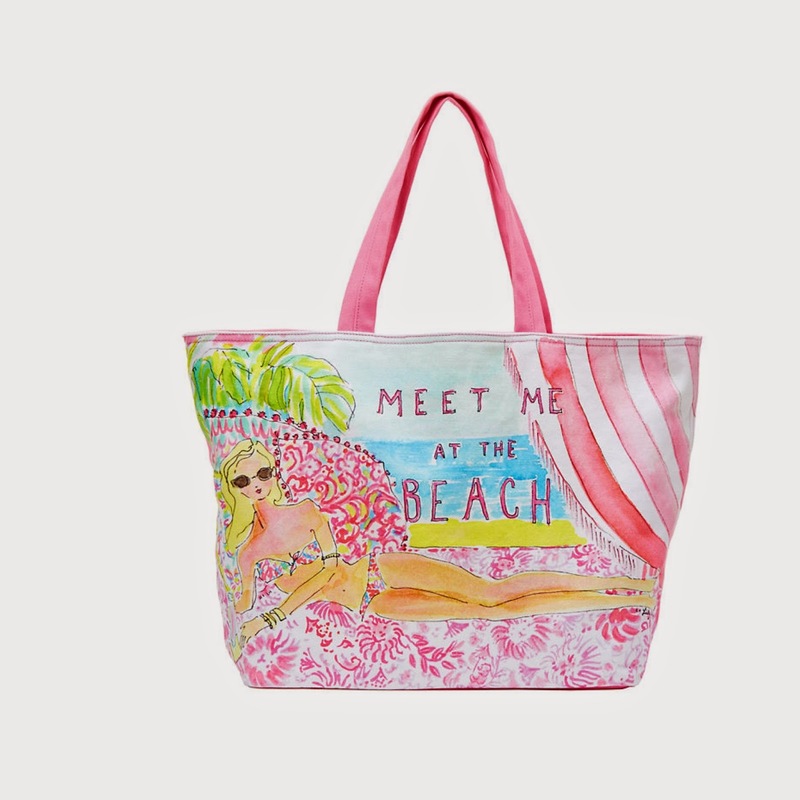 Love this adorable 'Meet Me At The Beach' tote! 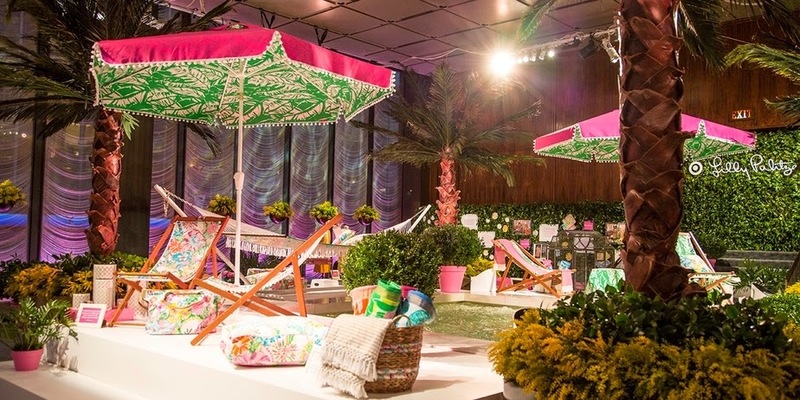 Target's collaborative effort with Lilly Pulitzer is coming up this Sunday and I'm not gonna lie, I'm a bit nervous. Everyone is asking me if I have a shopping strategy? Of course, I do. (I've been doing Target + Lilly recon work since the announcement back in January!) I will stay up late Saturday evening/Sunday morning to shop online at Target first. If I don't get all the items on my list, then I'll be off to my local Target to compete with other local Lilly lovers for the in-store items. 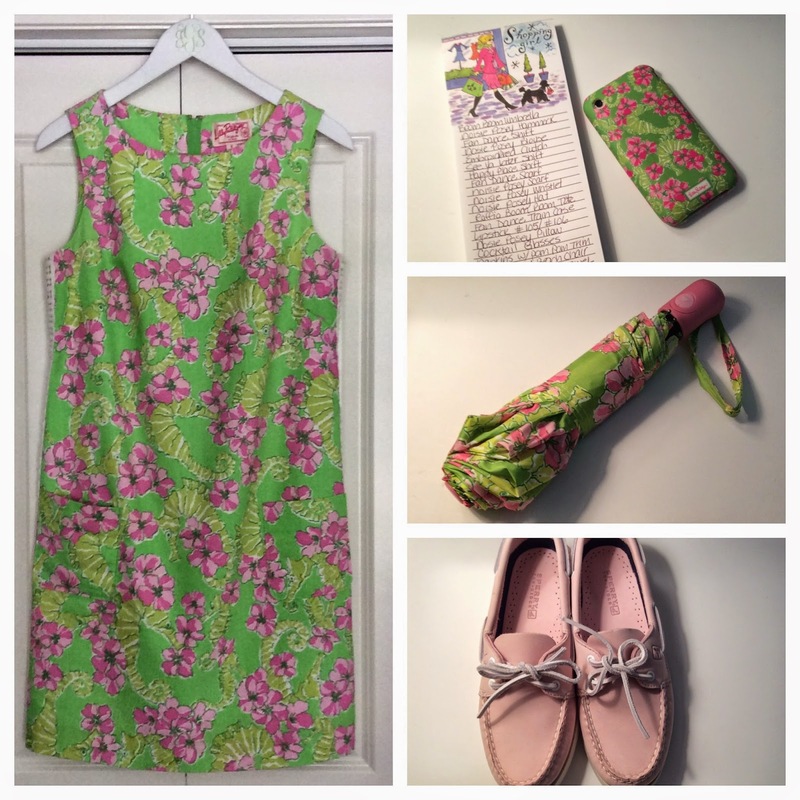 The Lilly Pulitzer Originals 'Floaters' shift, pink Topsiders, and white cardi. Since the Weather Channel is calling for a 90% chance of rain at my location, I'll carry my Lilly 'Floaters' umbrella too. The 'Boom Boom' Umbrella and the 'Nosie Posey' Hammock. I can't use them yet because my backyard is a mess, but they are just too cute and I must have them both! The 'Fan Dance' Shift. If I don't get this one, I might shed some tears. 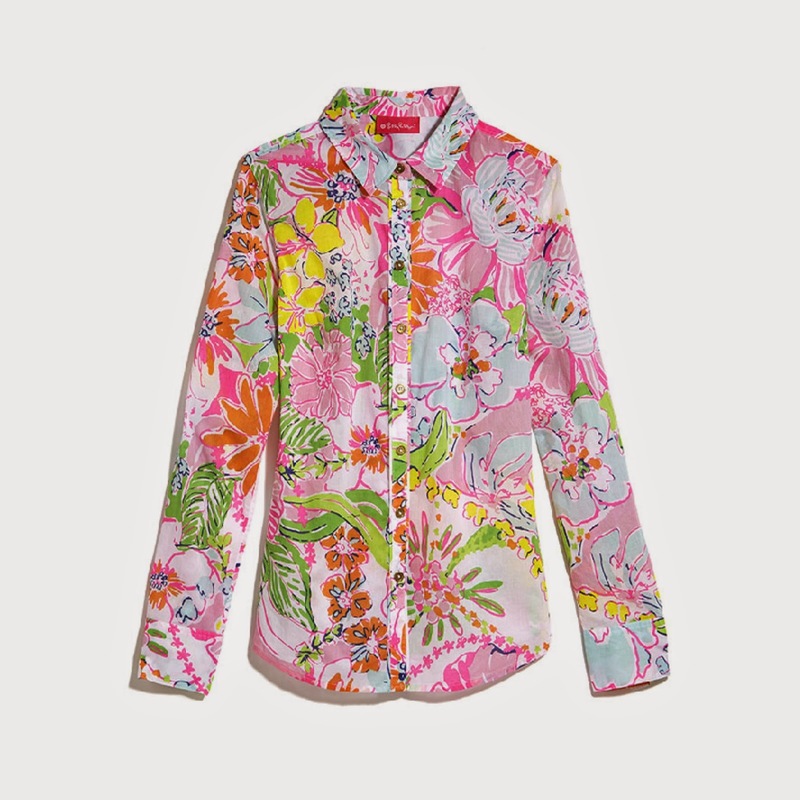 The 'Nosie Posey' Button Down Blouse is precious...a must have! 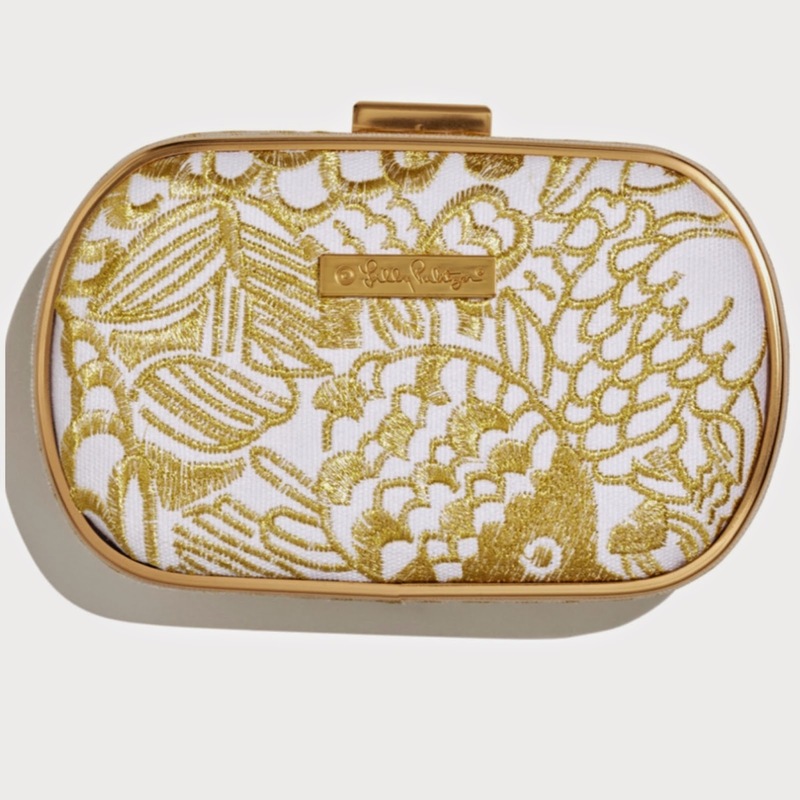 The Embroidered Clutch...I just love this and it can be used with so many outfits. I'm so excited for this sale and can't understand those Lilly Pulitzer fans who are saying that Lilly Pulitzer must be rolling over in her grave because this sale devalues the Lilly brand. I don't believe she would turn down her nose to a budget-friendly sale of her fabulous loot! 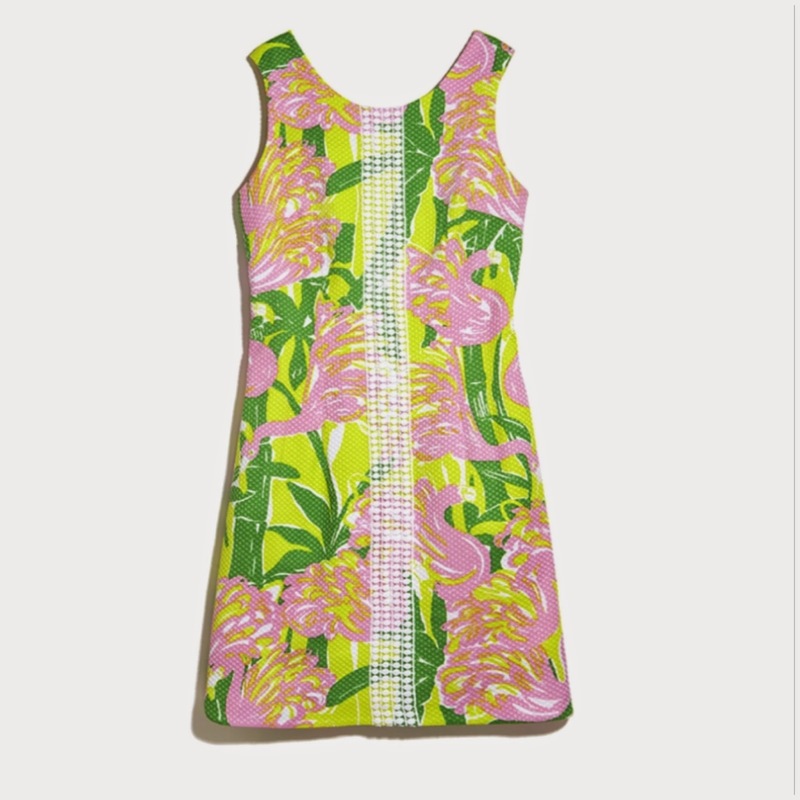 I buy Lilly for the patterns, styles, and colors...not the price! And...you can bet there will be shoppers buying to resell the items at a huge markup on eBay or other online Lilly resell sites. There really should be a limit on the number of items you can purchase. But whatever. If you are going to the sale, shop nice y'all! Well, I got through the Monday-after-the-Masters! It's such a depressing day after the gates to the most beautiful place I know are closed. We had a wonderful time at the Augusta National...great weather, saw some awesome golf, and ate good food. They certainly know how to run a golf tournament and of course they have THE best Southern Hospitality ever. 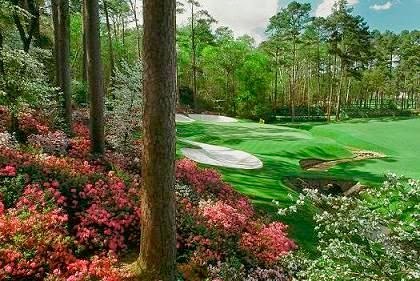 Seriously, from the time you enter the gates, you are greeted with friendly smiles and all the workers saying "Welcome to the Masters. Enjoy your day!" 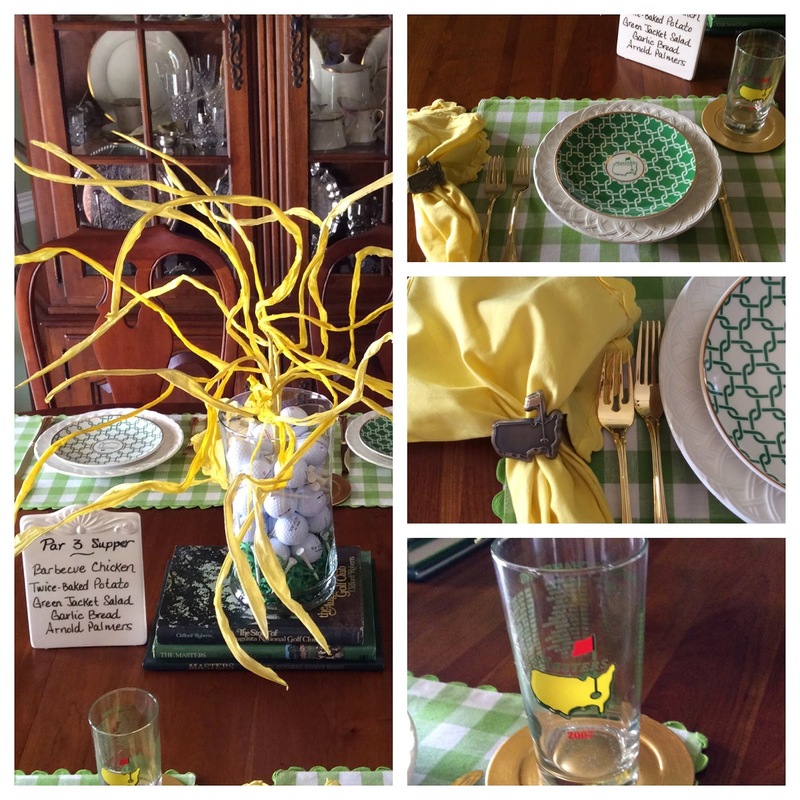 I heard this greeting on Sunday: "Welcome to the Masters. This will be one of the greatest days of your life. Enjoy it!" And...the course is just as beautiful in person as it is on television. 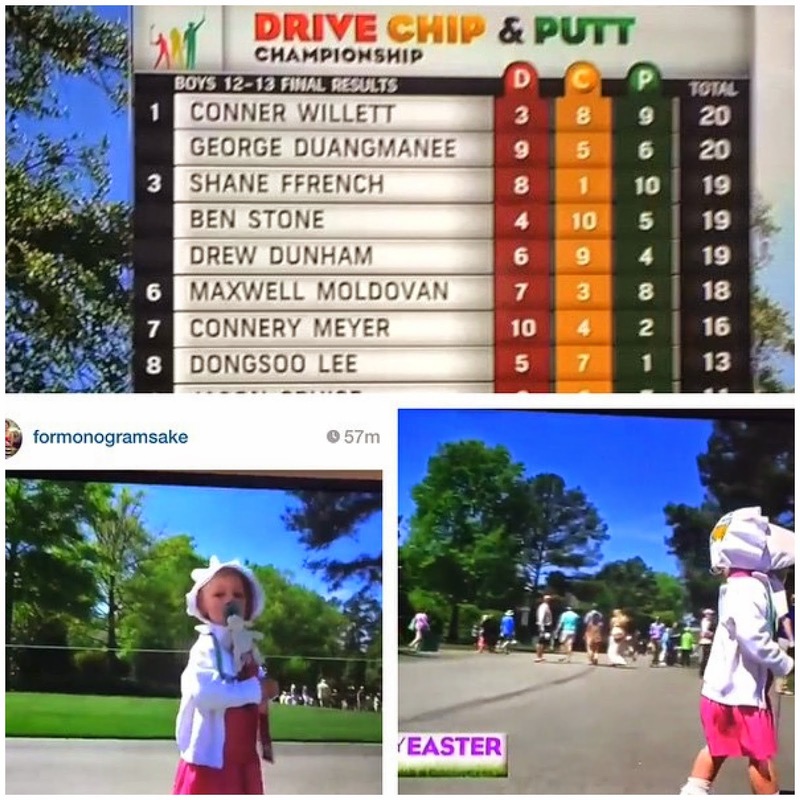 Sunday started with the Drive, Chip, and Putt Championship Tournament, sponsored by the Augusta National, U.S. Golf Association, and the PGA. Open to boys and girls ages 7-15, this a wonderful program aimed at drawing more juniors to golf. I was over at Mama's house watching the tournament when this precious little girl pranced across the screen. 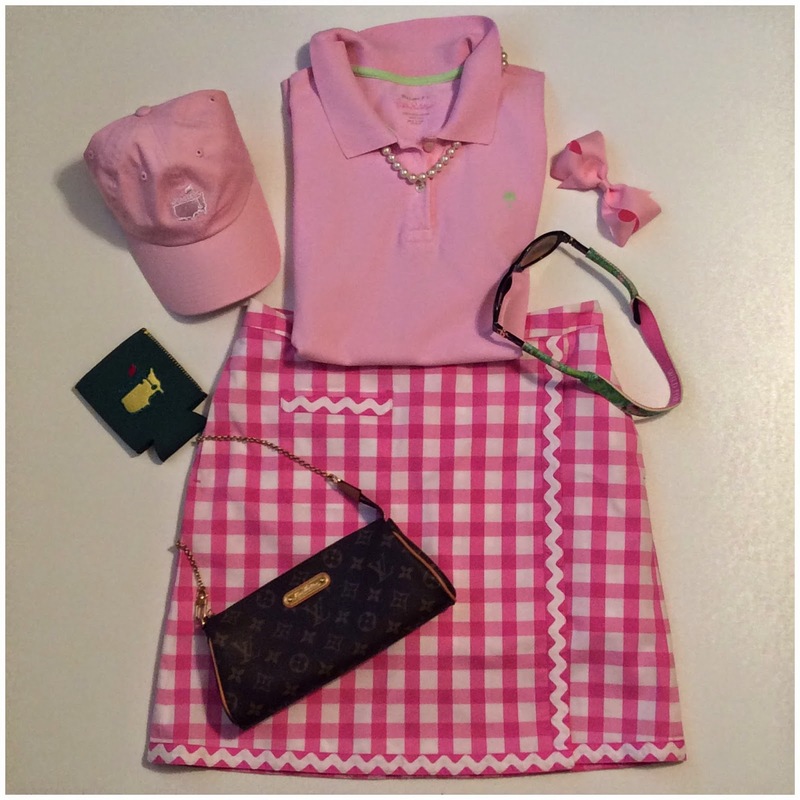 Fashion is everything inside the Augusta National and I just adore her little outfit and bonnet. 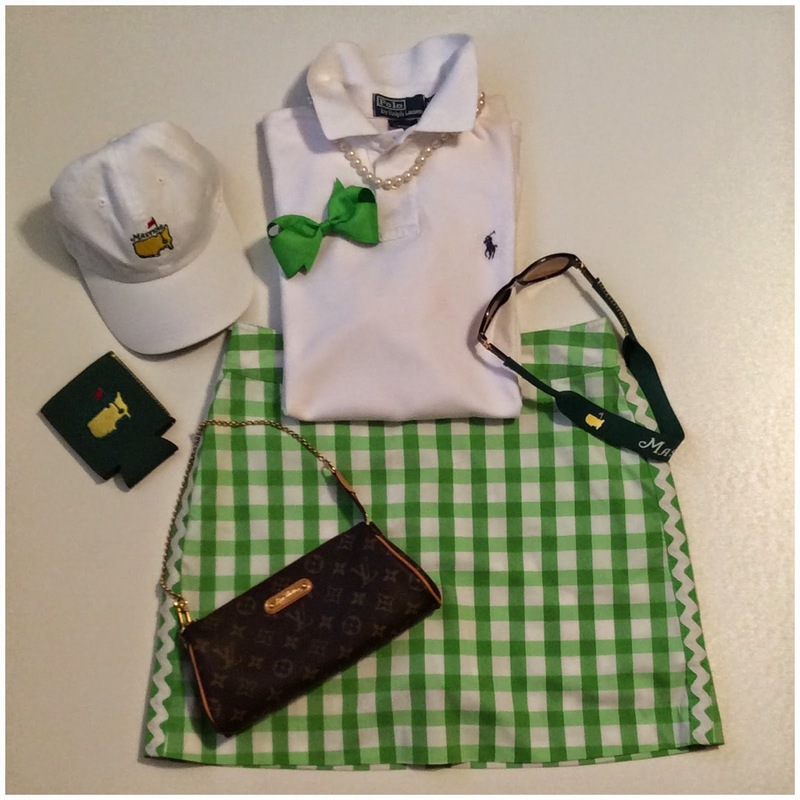 This is a close-up look at the little bonnet with the Masters logo! I had just seen this bonnet on the Instagram account of the lady who makes them...For Monogram Sake. 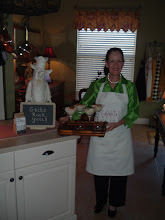 While you are visiting her site, check out all the other Masters stuff she designs...love, love, love it all! 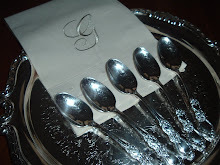 Wednesday night I prepared our traditional Par 3 Supper. You can read more about our tradition with this meal here. At the start of the tournament, these are the golfers I was watching...Freddie Couples is one of my long-time favorites, but he unfortunately did not make the cut. Rory McIlroy had a chance to win a Grand Slam, but didn't get it done. Everyone says Tiger is good for the game, but I just like to watch him play golf...and of course, you can count on there being some Tiger drama. (Tiger: "I hit a tree trunk with my club and a bone popped out on my hand, so I pushed it back in.") You gotta love that! Bubba Watson doesn't seem to be all that popular with his fellow tour players, but I love him! 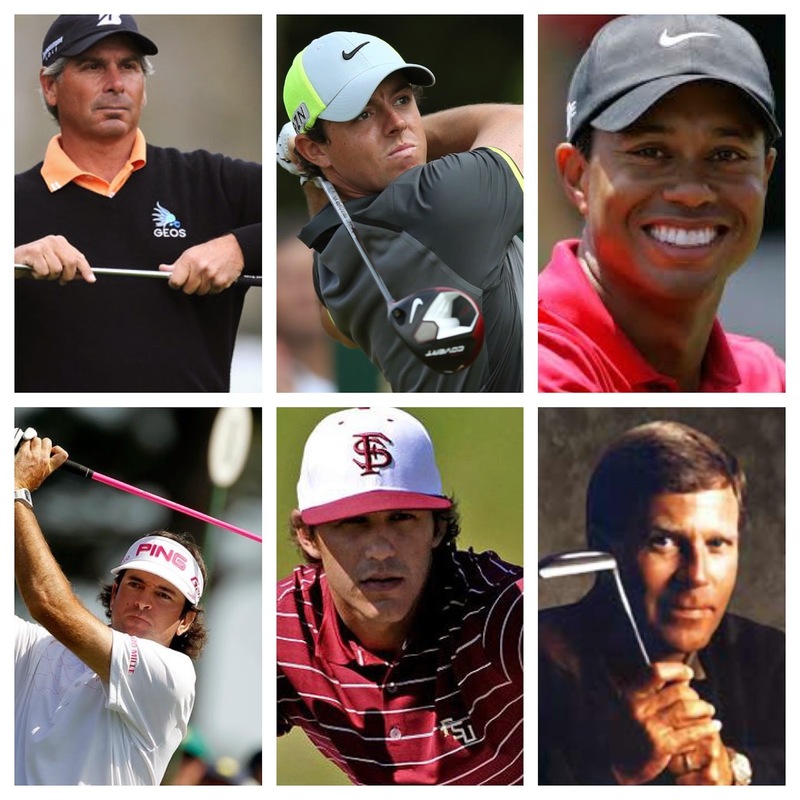 Brooks Koepka (FSU) did pretty good. Last but not least, I was happy to see Ben Crenshaw. He was my late BFF Teresa Jane's favorite golfer, so I love him too! 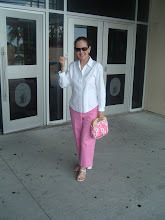 I wore Lilly Pulitzer "White Tag Lilly" skorts all week. They are perfect to wear at the course and comfortable too! 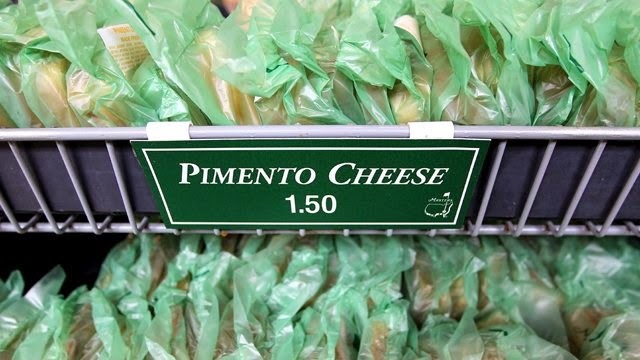 Besides the great golf, you can count on the Pimiento Cheese sandwiches being great too. Pimiento Cheese in the morning and a Barbecue Sandwich in the afternoon. 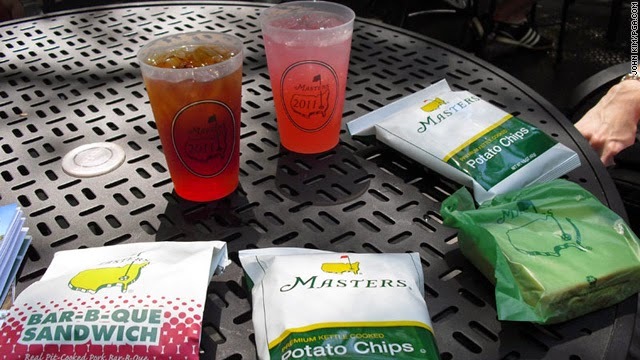 I pretty much eat all day at the Masters! 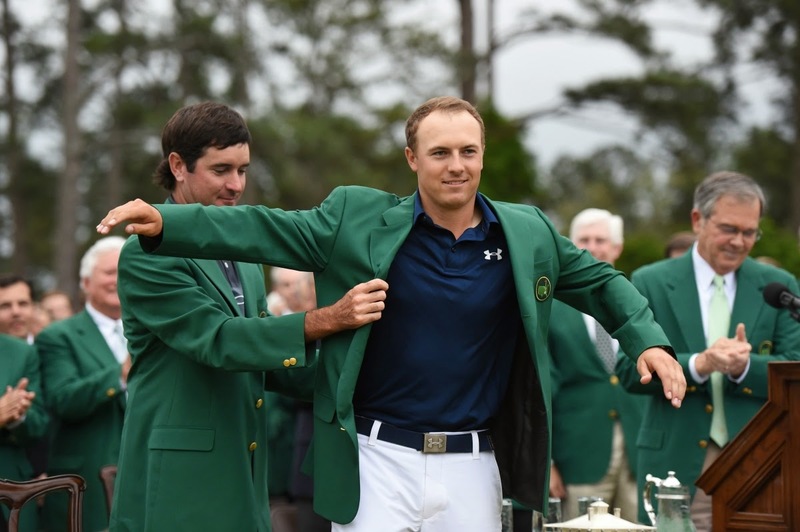 Congratulations for Jordan Spieth for his wire-to-wire win. The 21-year old started the tournament with a huge lead and stayed the leader until the end. Records were broken and traditions were kept. It was another beautiful Masters week in Augusta. 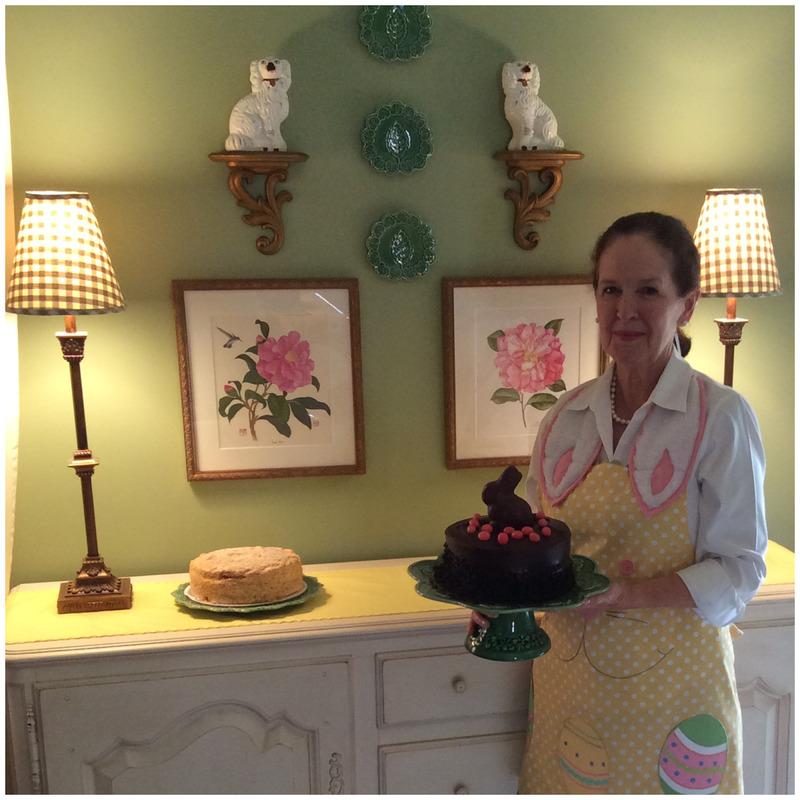 Hope y'all had a wonderful Easter! We started the day with a beautiful sunrise service at All Saints Church in Warner Robins. 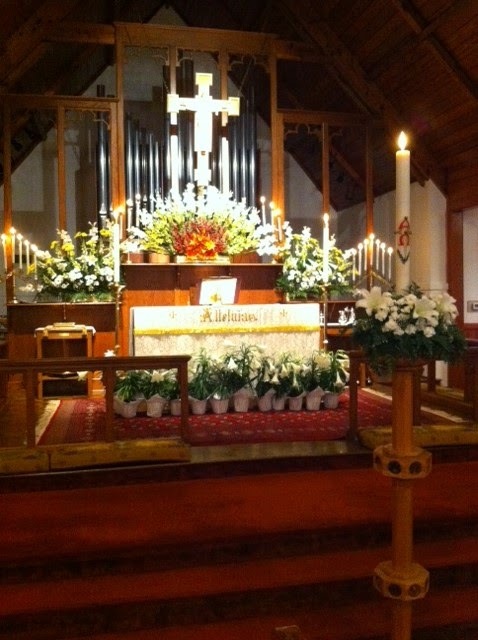 It was a wonderful celebration of the resurrection of Jesus Christ! 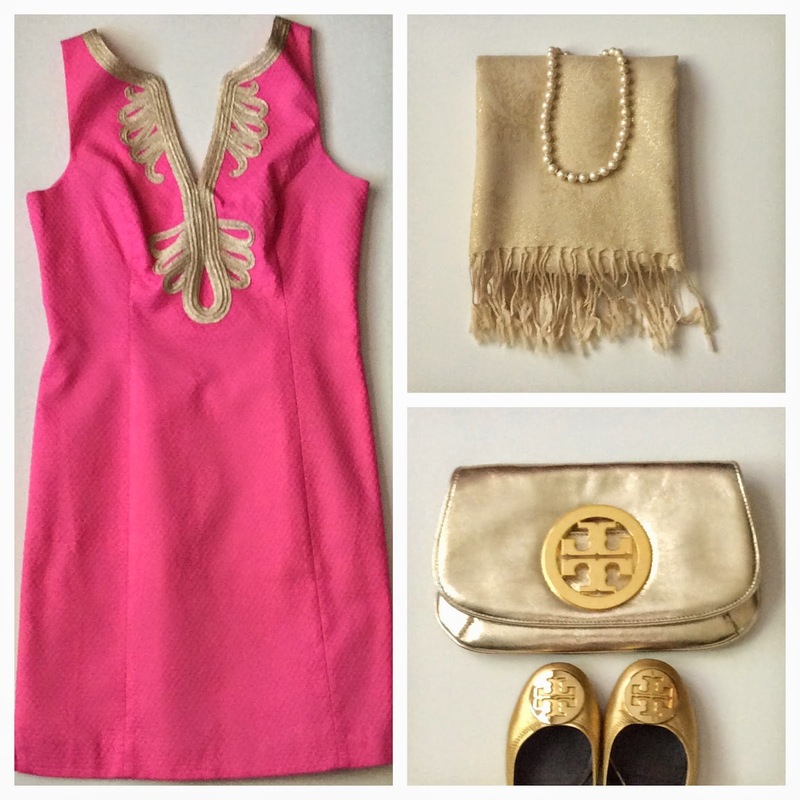 This was my Easter frock...the hot pink Lilly Pulitzer 'Janice' dress with a gold shawl, clutch, and Revas. 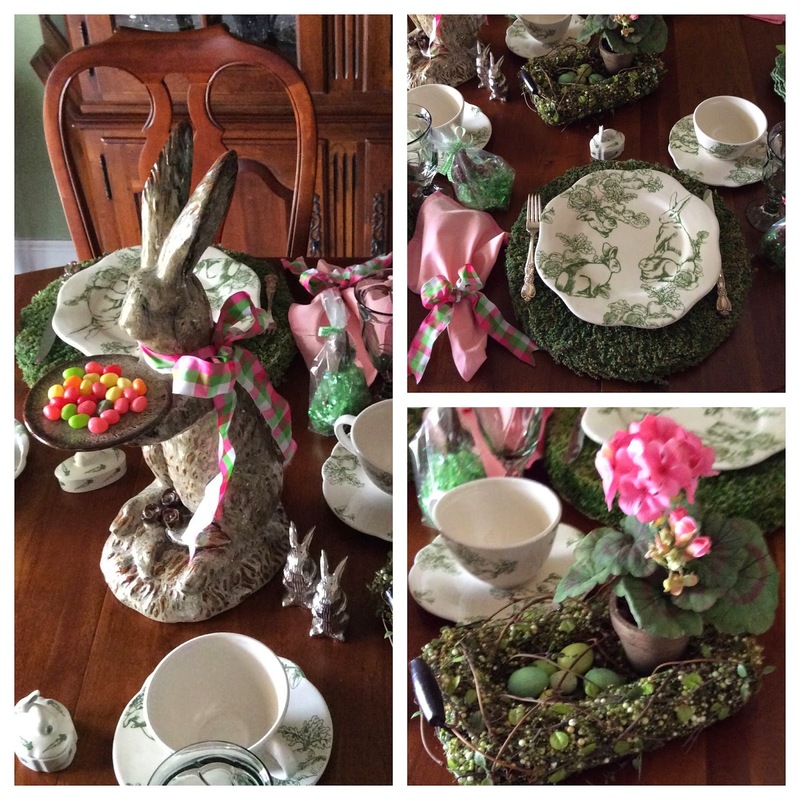 I set the table for Easter with my Willfred Bunny Toile dinnerware...same dishes, different guest list! It was a good Easter day...with family and friends. 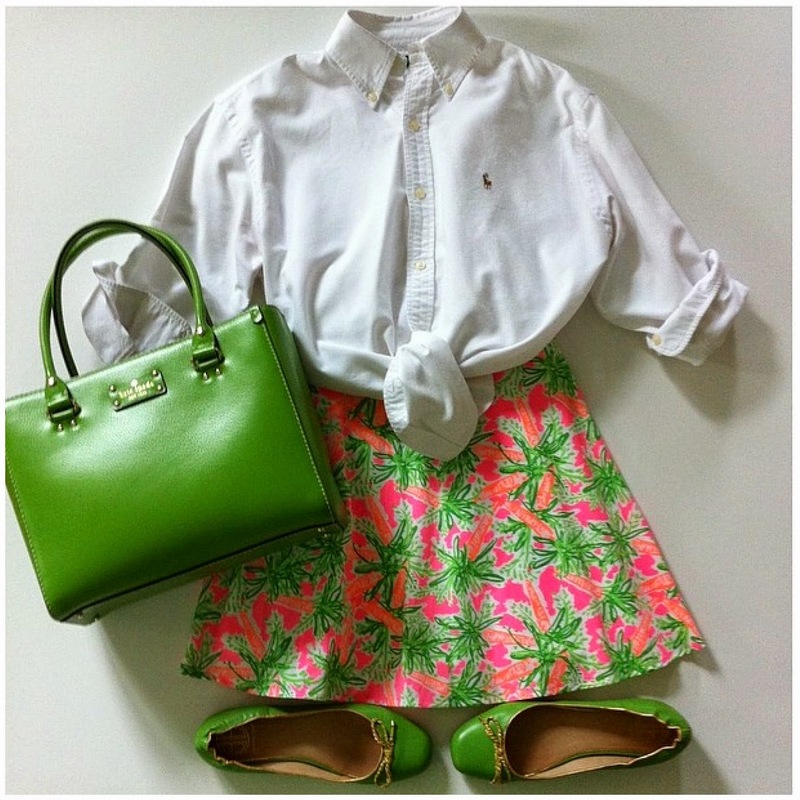 On Good Friday I wore the Lilly Pulitzer 'Nibbles' skirt, a white blouse, green ballet flats, and carried a green Kate Spade 'Quinn' pocketbook.